Cuba is the Caribbean beauty filled with deeply rooted history and poignant imagery, including vivacious street music, world-class cigars and vintage Cadillacs. 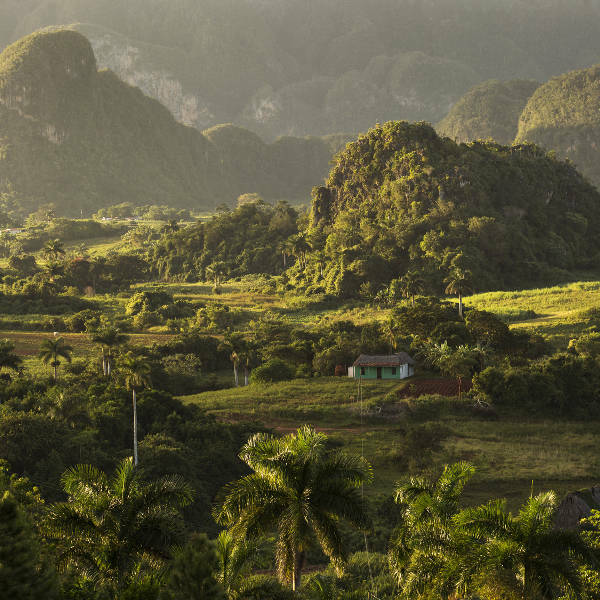 Nestled in the northern Caribbean, Cuba is home to over 11 million inhabitants. Havana is the largest and capital city of this island paradise. Popular attractions include Calle Maceo in Camagüey and Morro Castle in Havana. Cheap flights to Cuba are now available for a limited period of time, so get ready to venture to this impeccable destination! Cuba’s capital city, Havana, is the home of José Martí International Airport (HAV), located a short 20-minute drive from the city centre. 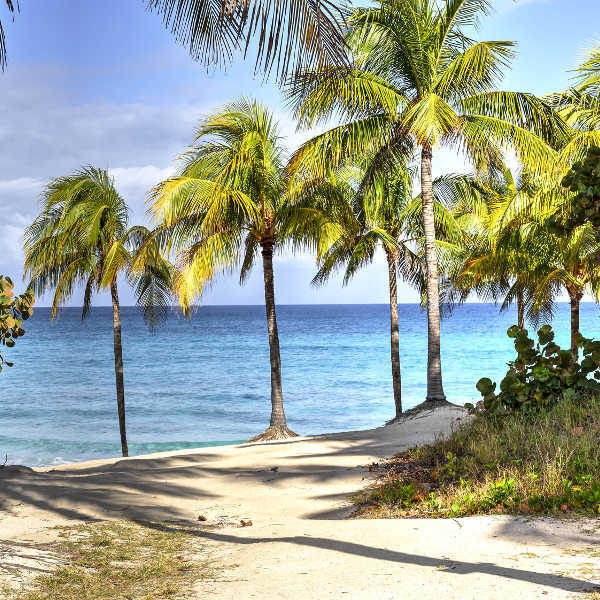 A trip to Varadero - a beautiful beach destination stretching along the Peninsula de Hicacos - is worth embarking on! Attractions include a nature reserve and the two caves Cueva de Musulmanes and Cueva de Ambrosio. For picturesque verdant valleys, a tour of the UNESCO World Heritage Site, the Parque Nacional Viñales is mandatory. Nestled in Sierra de los Órganos, tourists are treated to beautiful scenery where tobacco, fruit and vegetables are grown. 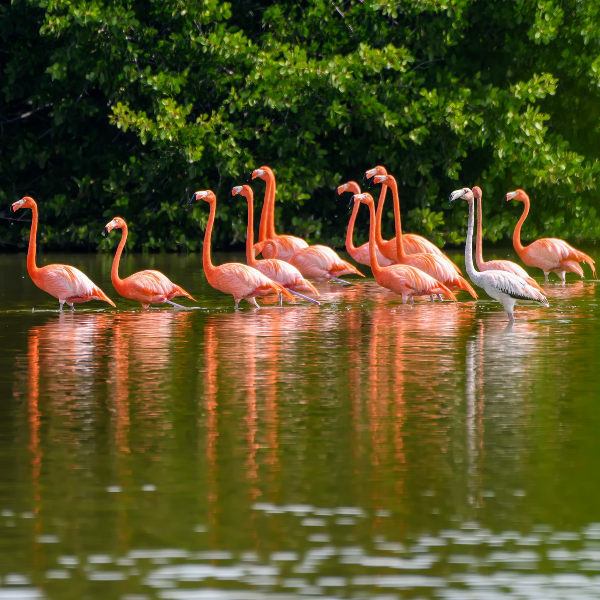 Nature enthusiasts will be enthralled in the Península de Zapata, which is home to one of the Caribbean’s largest wetlands. Visitors can view sensational animals such as crocodiles, birds, and rare bandicoots at the Gran Parque Natural de Montemar. Cuba has a beautiful Caribbean climate which is perfect for embracing the effervescent sun on the island’s several white-sand beaches. Sunshine-filled days can be experienced between October and April. During these months the days are pleasantly warm with temperatures averaging 25 degrees Celsius to 29 degrees Celsius. Cuba’s wettest months are from May to September, but there are still an abundance of sunny days with bearable heat. For those wanting to embrace the genuine Cuban festival vibe, visit Santiago de Cuba in July for *Carnival*, and Havana in December when the renowned Jazz Festival takes place. Leave all your expectations at the airport! Cuba beckons to be discovered without any pretense and false agendas. This Latin American island’s beauty goes beyond its colourful aesthetic, it is a country with deeply rooted economic difficulties and political challenges which pulsates through the streets. It is part of Cuba’s charm, the notion that in spite of its troubles, it still remains this hospitable and loving country which attracts plenty of tourists. This culturally rich society enchants visitors with games of chess and backgammon outside the locals’ homes, jovial sounds of salsa and reggaeton music hums through the streets. Everyday life in Cuba is marked by the peoples’ resilience; it is hard not to be affected by the humble energies, found amongst the heartwarming Cubans. Havana and its people will capture your heart and will have you yearning to return over and over again! Witness el cañonazo de las nueve (cannon of the nine) in the fortress of La Cabaña. Every night, at 9pm soldiers are dressed in their traditional 18th century costumes and shoot the cannons to counsel the closing of the city gates. A stroll through Havana’s streets include seeing Cuban Baroque buildings, bustling public squares and colourful dilapidated houses. Embark on Cuba’s exotic metropolis city known as Santiago de Cuba, filled with the countries perplexed history of the revolution. Go to this beautiful city in July for its sensational carnivals, enjoy a glass or two of the city’s rum and embrace the culture of the Cuban people! Compare several airlines, and book your cheap flights to Cuba online at Travelstart. All travellers should be up-to-date with their routine vaccinations. These vaccines include measles-mumps-rubella (MMR), diphtheria-tetanus-pertussis, varicella (chickenpox), polio and your yearly flu shot. Most travelers are encouraged to get vaccines for typhoid and hepatitis A, as there is a risk of contracting these diseases in the country. Cuba is a safe destination in many ways. The country is well policed, with reputable road safety enforced. Tourists are still encouraged to remain vigilant throughout their vacation in any of the cities. • It is advisable to take along a sufficient amount of cash with you as there won’t be easy access to Wi-Fi or credit card usage. • Carry some form of identification on you. A copy of your passport will suffice. • Do not wear flashy jewelry in public spaces. • As with any major city, remain vigilant at popular touristic attractions as these are prime spots for pickpocketing and bag-snatching.